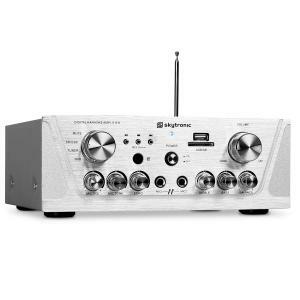 The Skytronic 103.131 is an all-round HiFi receiver that provides all of the basic needs for any HiFi or PA application. 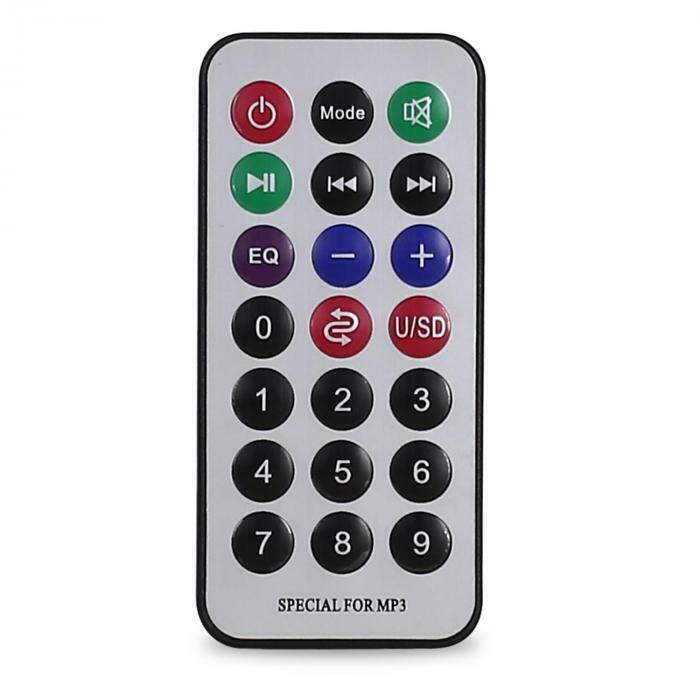 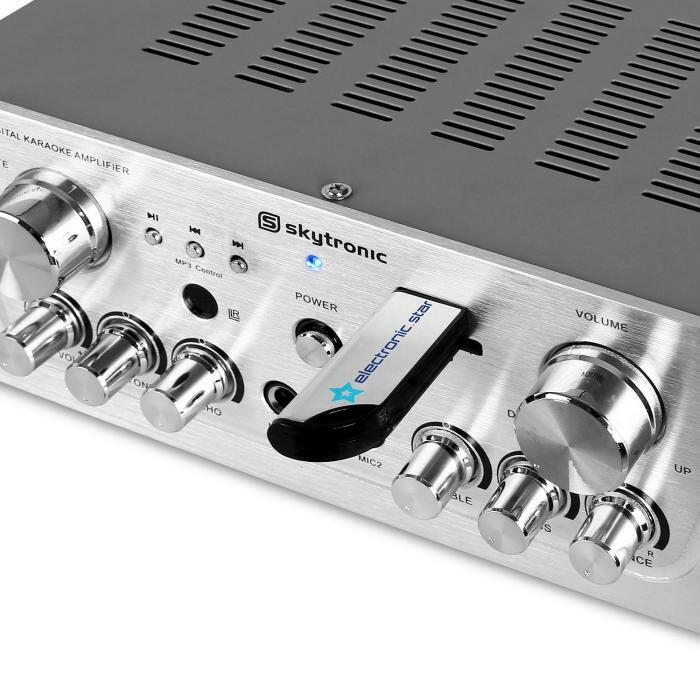 As well as RCA inputs the Skytronic amplifier provides modern USB and SD inputs for playing MP3s from mass storage devices such as USB sticks or SD cards. 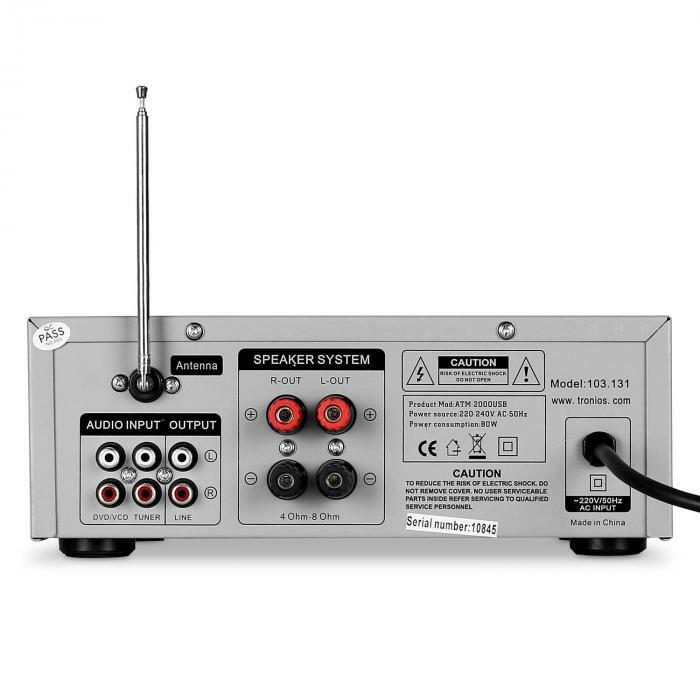 With its two independent microphone inputs the system is perfect for PA events such as lectures, club events or Karaoke parties. 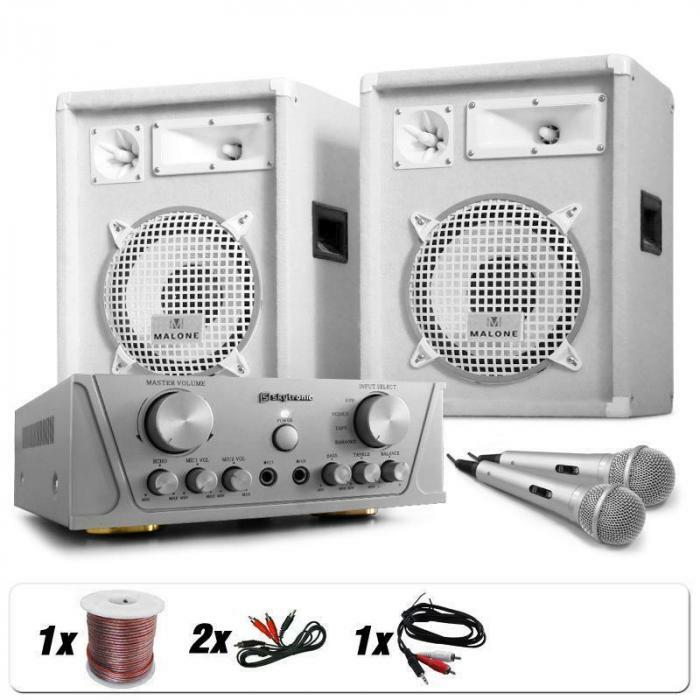 Due to its 2 x 50W power the amplifier is a great option for homes as well as small or medium sized function rooms. 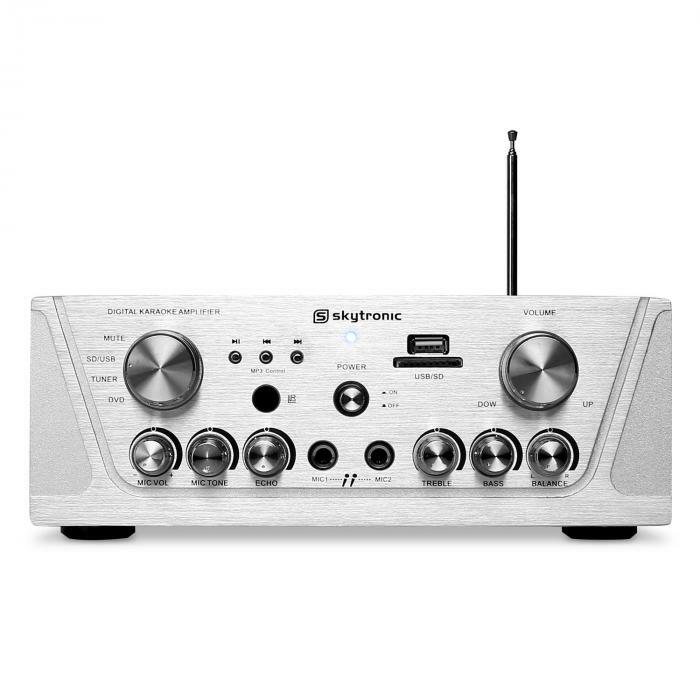 The RCA output allows for connection to a further speaker in case an even larger sound is required. 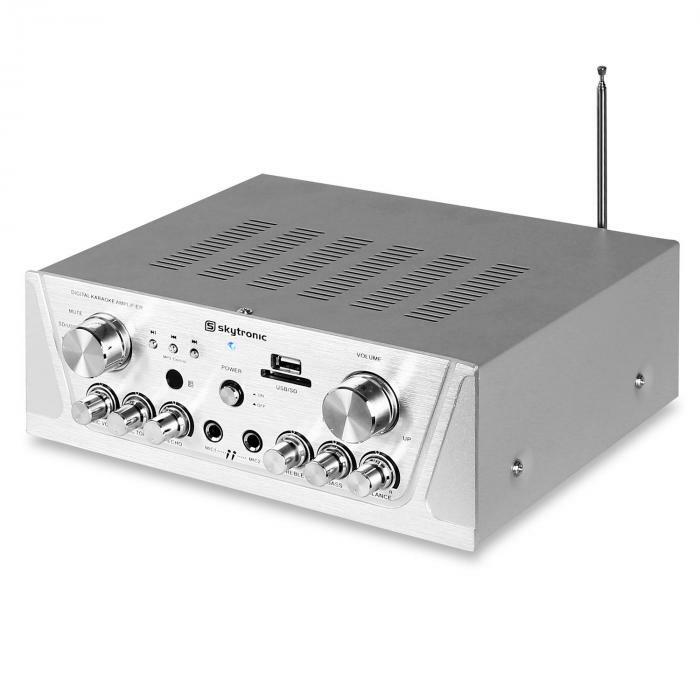 In contrast to other typical PA amplifiers the Skytronic is perfectly designed to be put in the home. 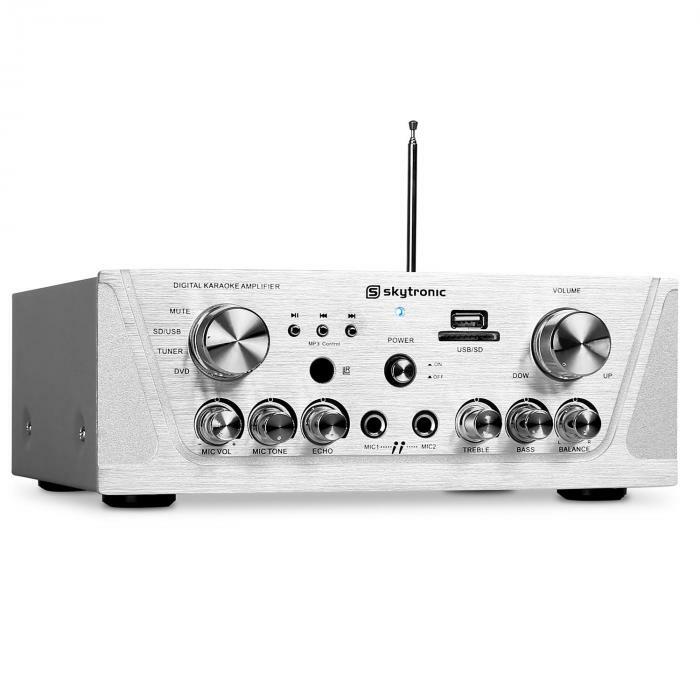 Its compact dimensions means it takes up only minimal space and its brushed aluminium finish gives it a great designer feel.